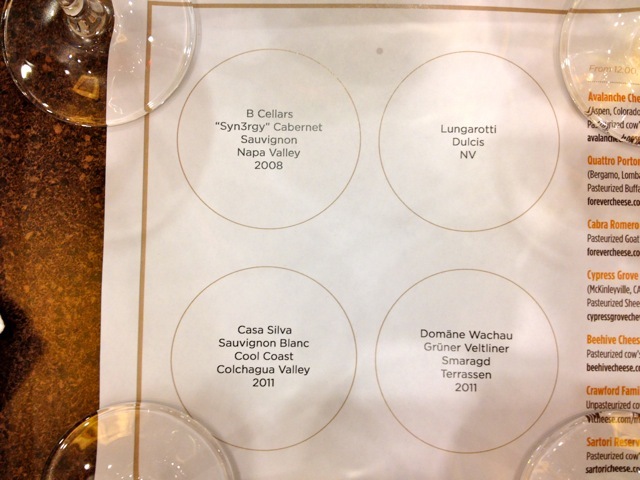 Another early morning wine tasting but this time there was some super delicious cheese to pair with it. 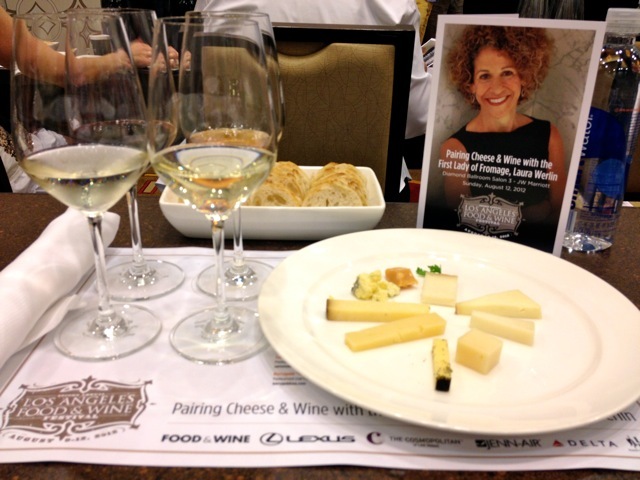 This seminar was Pairing Cheese & Wine with the First Lady of Fromage, Laura Werlin. With a moniker like the First Lady of Fromage, you better deliver. And, Laura Werlin, that First Lady, did! Laura couldn’t have been more down-to-earth, funny and informative. No “I’m the Big Cheese” attitude here! 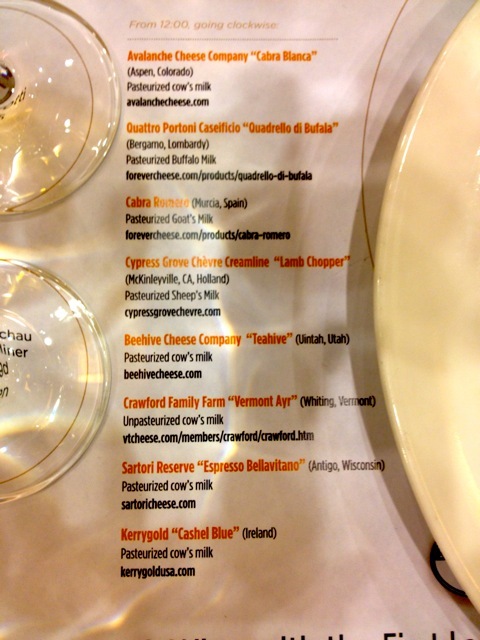 This is what awaited at our places: 10 fabulous cheeses and 4 very good wines. It was hard to wait for the ‘go’ signal so we nibbled and sipped out of order but who’s quibbling. The mood was very relaxed. Ok, so we learned that we should taste the wine before the cheese because wine affects the taste of cheese more so than cheese affects wine. Got that? But really, I found that both ways worked equally well and the flavors were different every time. We were to notice the texture of the cheese, not just the flavor when choosing a wine as it will inform the type of wine to pair. 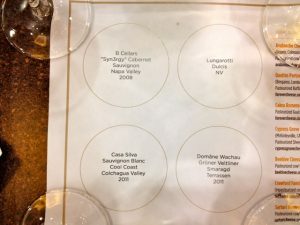 Some tidbit outtakes: Creamy cheeses brings out the oak or tannins in wine; go for unoaked or neutral oak white wine to pair with cheese; flavored cheeses need to start off with a good base…not just any old base will do if it’s going to be infused and the infusion itself should be top notch as well; wine in barrels isn’t about how long it’s in barrels…it’s how old the barrel is. Blue cheese pairs best with sweet wine – Yes, it did! The bigger the wine, the fewer the choice of cheeses to go with it. Do not store your cheese in plastic because the plastic leeches into the cheese and affects the taste. Wrap it in paper and then wrap that in plastic. You can leave your cheese out like they do in Europe…within reason…but always leave it out before you dive into it. I asked Laura if she remembered what her first cheese was. Yes, it was Kraft cheddar slices – just like everyone else. 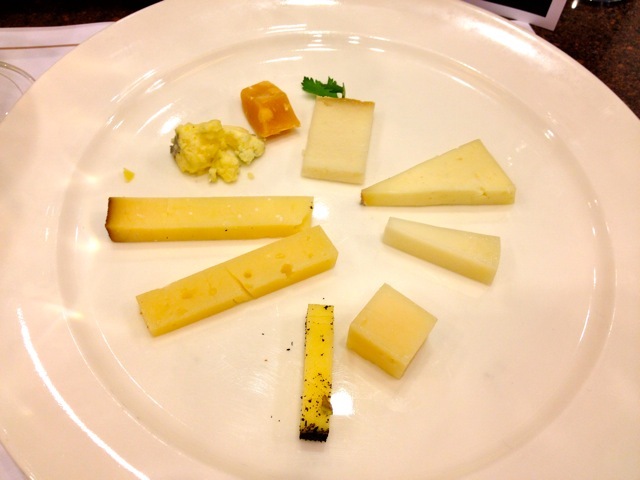 This is Laura about the second cheese: “Not sure this cheese would go with any of the wines here today…but, who cares! It’s delicious!” And that pretty much sums up the experience and a great way to start the day. Laura’s a terrific teacher. If you ever have the chance to attend one of her events, Go! And I believe she teaches in San Francisco so check it out. Look forward to next year’s Los Angeles Food and Wine Festival and checking out more fab events. Definitely worthwhile! I’m thrilled you attended AND enjoyed my seminar. I always have such fun giving the seminar because of enthusiastic attendees like you! Plus, any excuse to eat cheese and sip wine at 10:30 in the morning is okay by me. Thanks for the nice write-up. I really appreciate it!. 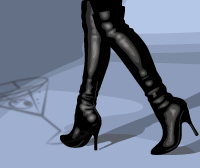 See you at the next soiree!